Last weekend I watched an exceptional movie and I can't help but highly recommend it here. It has a story that captures you in the first five minutes and then takes you to a journey of incessant action. The charismatic protagonist is one you care about, whose motives are clear and relatable, and that thrills you with his endless stunts across the film. He is ingenious, brave and funny. His story starts at a very personal level, but as he gets deeper and deeper into trouble, his adventures will take him to alter the course of a battle between two armies. A true masterpiece. 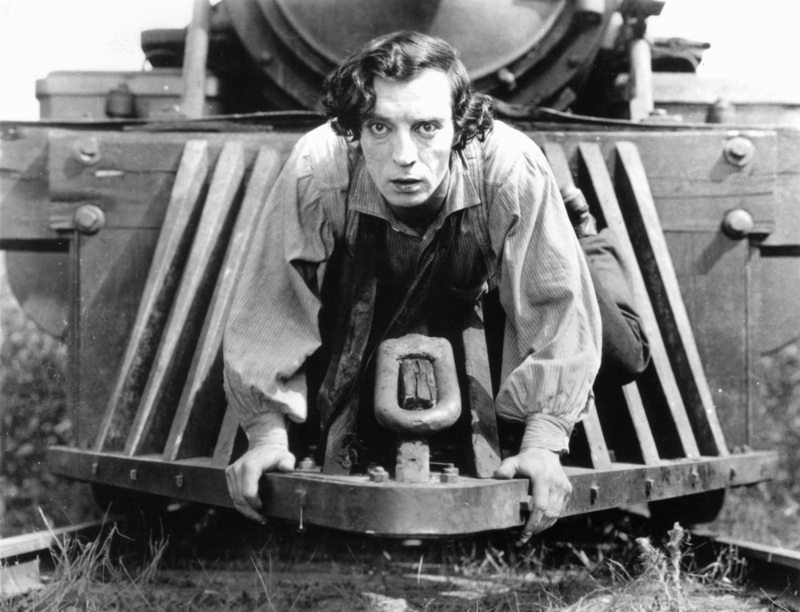 Perhaps you will be surprised to know that I'm not referring to Mad Max: Fury Road but to Buster Keaton's The General, a 1926 silent movie. Yes. All the credit of me watching this film goes to @aromanos33 who pushed me to do it in an even more unlikely way: with my 6 years old kid. He loved it. So thanks for the tip, Alejandro. You are probably surprised that I even tried. I have to confess this is the first silent movie I've ever seen, and I'm so shocked for how good it was that I can only share some thoughts I had as a result. Storytelling is an art, and you can recognize and love good art no matter how obsolete the format it's been built on. The fact that The General is silent fades away 10 minutes into the film, once you are captured by its plot. This only gives more ground to my belief that the skill of storytelling is essential, perhanps today more than ever, if you want to be heard (and you should). I'll make a case in my children's education to ensure that storytelling has a prominent space. Limitations push creativity and innovation. The way The General uses its black&white silent limitations to its favor is amazing. Give someone a blank page and ask them to draw something and you'll get a lame result. Give someone a page with randomly placed lines in it and ask them to draw a dog and they will surprise you. Ask Twitter about how arbitrarily limiting characters has created a culture of creative and clever comments about anything. Try this the next time you want to be creative about something: set limitations, even if they sound arbitrary. So I leave you for the weekend with a great opportunity: enjoying The General for the first time if you haven't done it already. It's really worth it.